Prahran Veterinary Hospital is proud to sponsor the Goodfellow’s Tree Kangaroo at Melbourne Zoo and we have also adopted a Bengal Tiger. 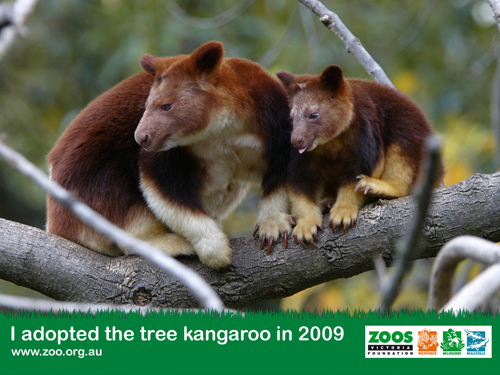 Goodfellow’s Tree Kangaroo is a native to Papua New Guinea and is an endangered species because of habitat reduction. It is related to two species of tree kangaroo found in Northern Australia. 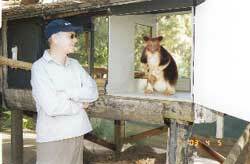 We were privileged to be able to visit with the Tree Kangaroos at the Zoo recently and a photo of Dr Muller with the kangaroo is shown below.